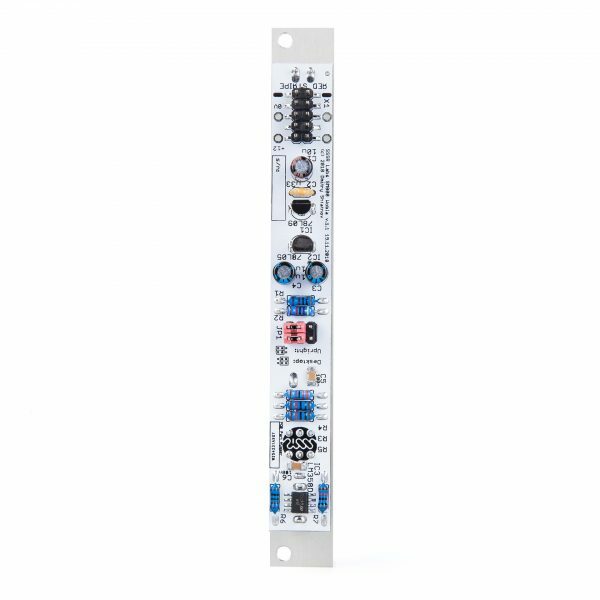 Modern multifunctional eurorack modules give practically infinite abilities for morphing and tweaking sound parameters in real time. But simultaneous control of multiple rotating knobs or tiny-sized sliders located in different places can be annoying and sometimes impossible. The situation changes when you play with full-sized sliders and other kinds of controllers grouped at one place. 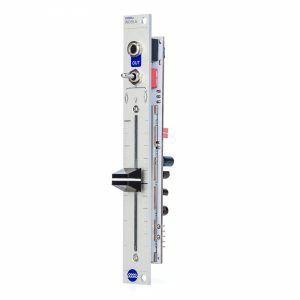 A trained musician can predictably control several individual parameters with each finger and here is where live performance slider controller appears quite handy! 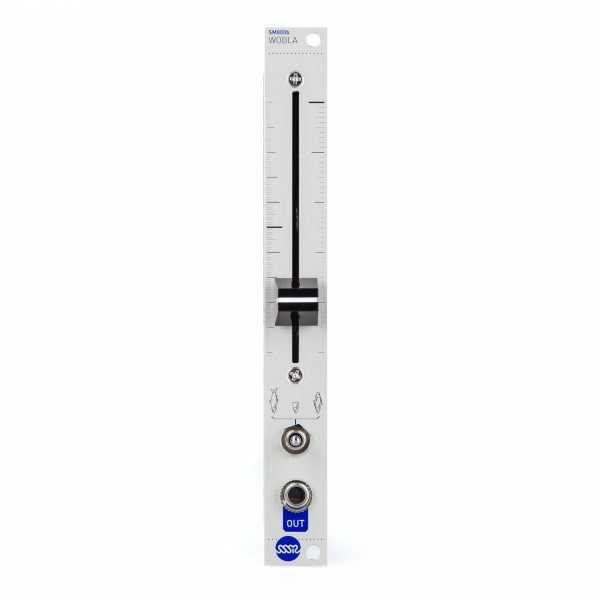 It can be used with all kind of filters, physical modeling modules, quad or hex knobless VCA (as a remote fader), or with sequential switch, e.g. 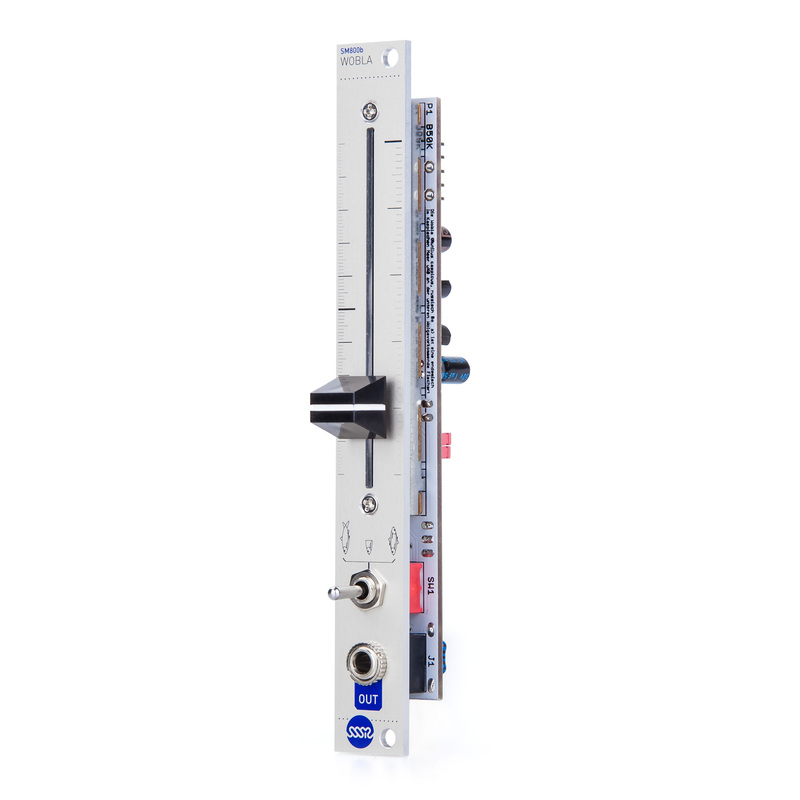 Matrixarchate to build an advanced polyphonic, slider controlled sequencer. 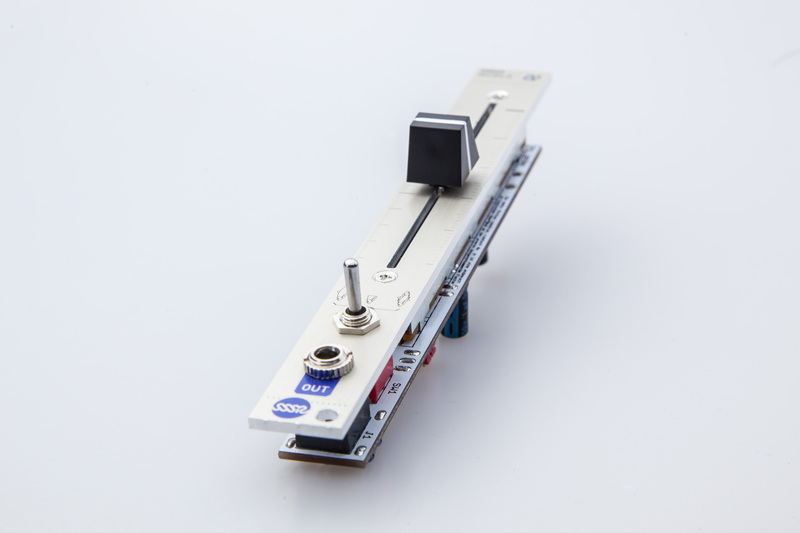 SM800 Wobla is a single slider controller with pretty straightforward functional: it outputs control voltage proportional to position of the slider. Wobla has three different ranges of operation: linear 0…5 Volts, linear 0…10 Volts, and the special bell-shaped range giving the maximum output voltage (≈5.7V) at the center position of the slider, allowing to perform so called wobbles in a very fast and predictable manner. 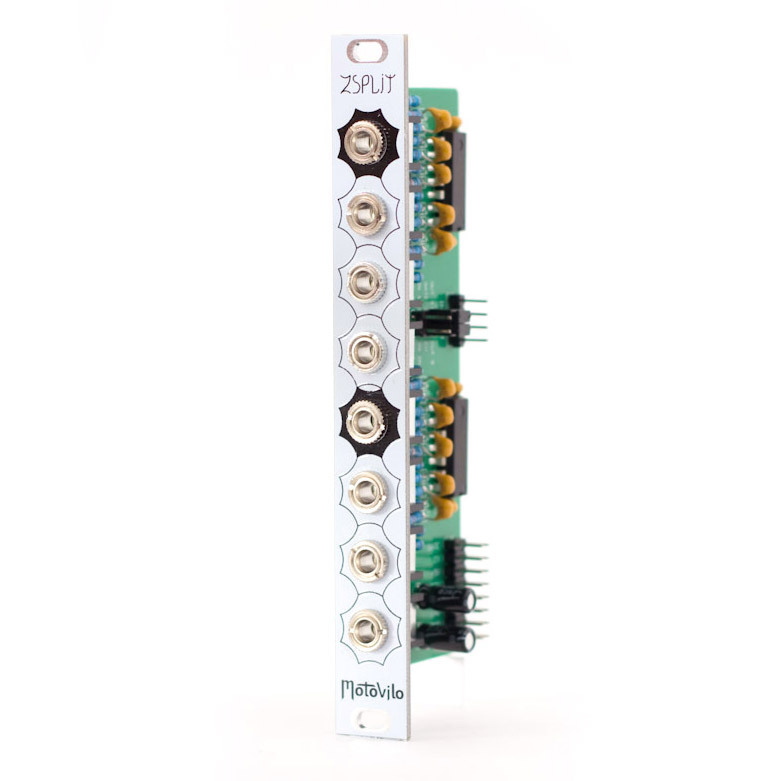 So, it fits perfectly to wave shapers, VCA, VCF and other modules affecting the sound articulation. 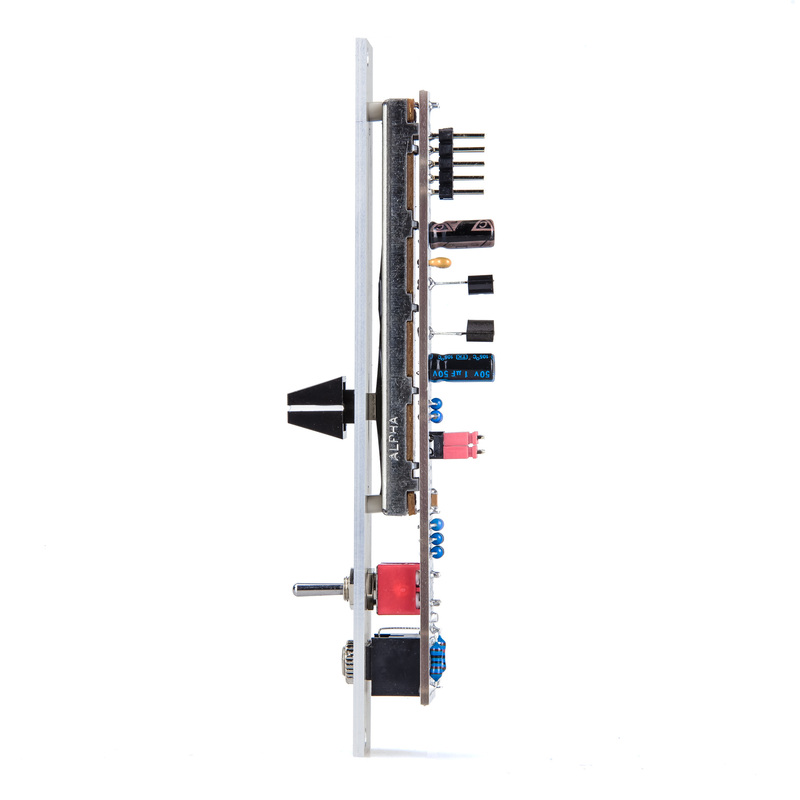 Wobla is available with two types of front panel. The first type (A, desktop) has the output jack and mode switch above (or behind) the slider, which becomes handy when controlling any modules located above the Wobla, or when horizontally oriented desktop case is used. 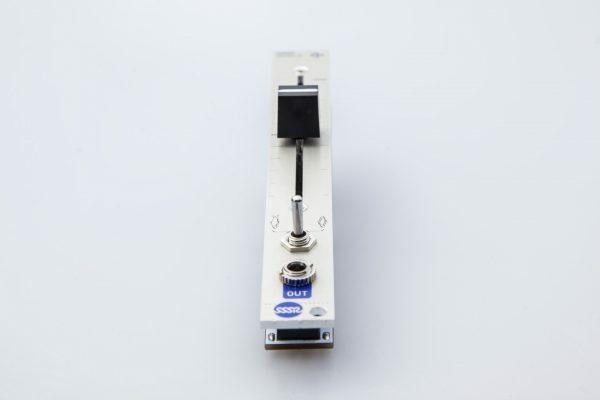 The second type (B, upright) has the output jack and the mode switch below the slider, which is pretty useful when target modules are in the same row with Wobla. 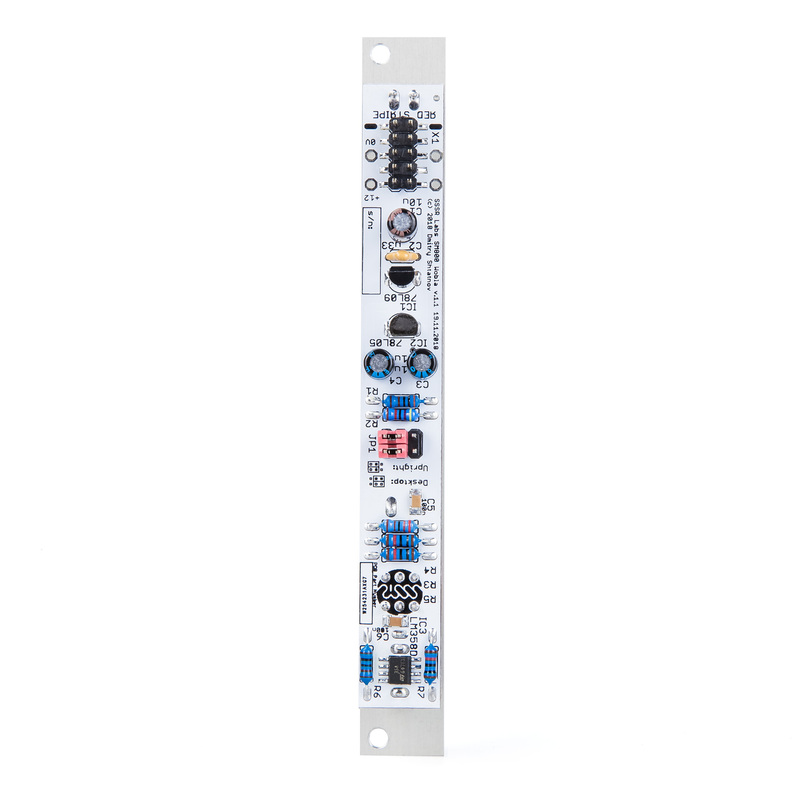 The module has jumpers allowing to change the direction of slider any time, and you can get an alternative panel separately! 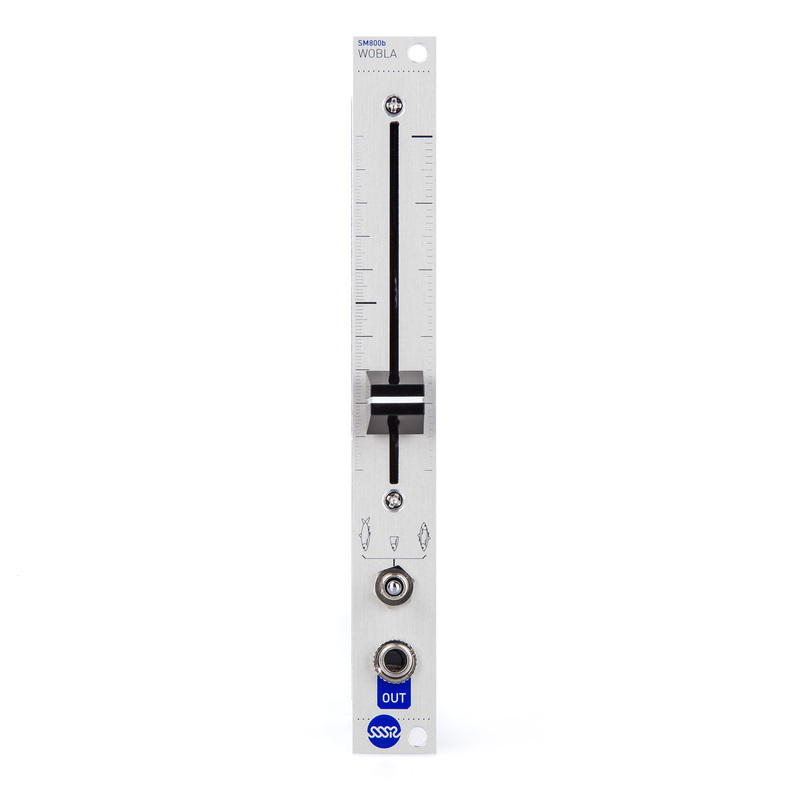 Wobla is very narrow for a single module of this kind: just 3 hp! 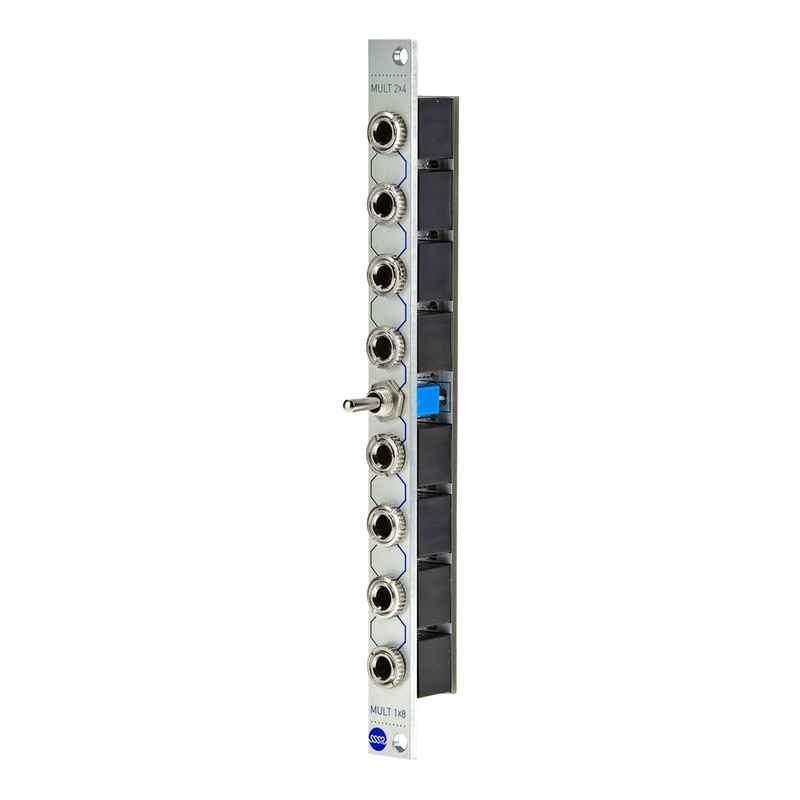 When you combine few Wobla modules together, you can fit four of them within just 12 hp, or, with sliding nuts, adjust the width to what fits better to your hand, precisely customizing your system. Despite the name, Wobla’s design is highly steady. 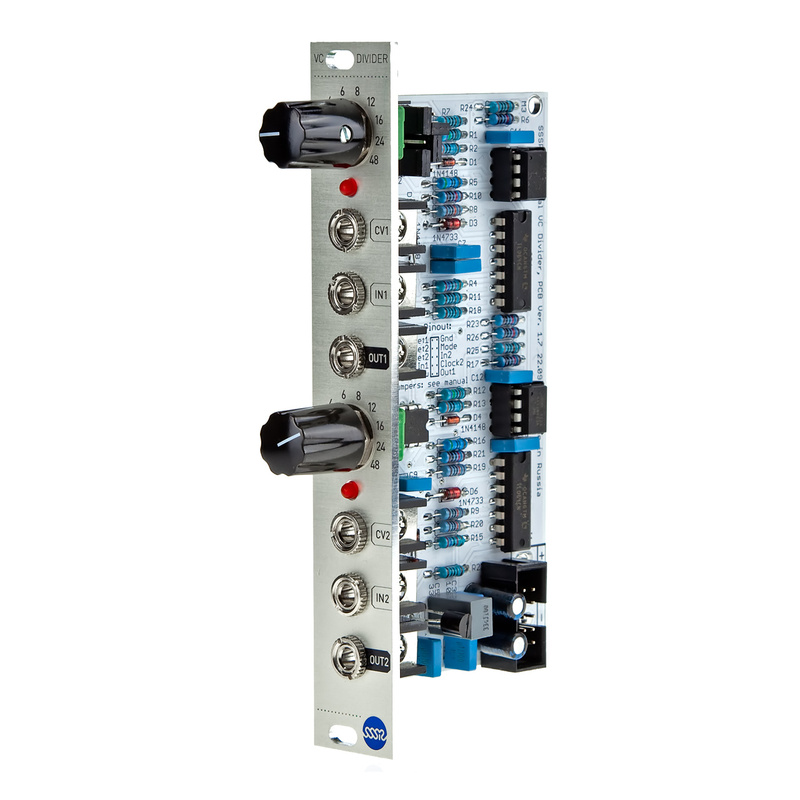 All of the controls, including sliding potentiometer are hard-mounted to the panel, ensuring that its controls will not break from intense use or accident hit like plastic threadless shafts and PCB only mounted controls. 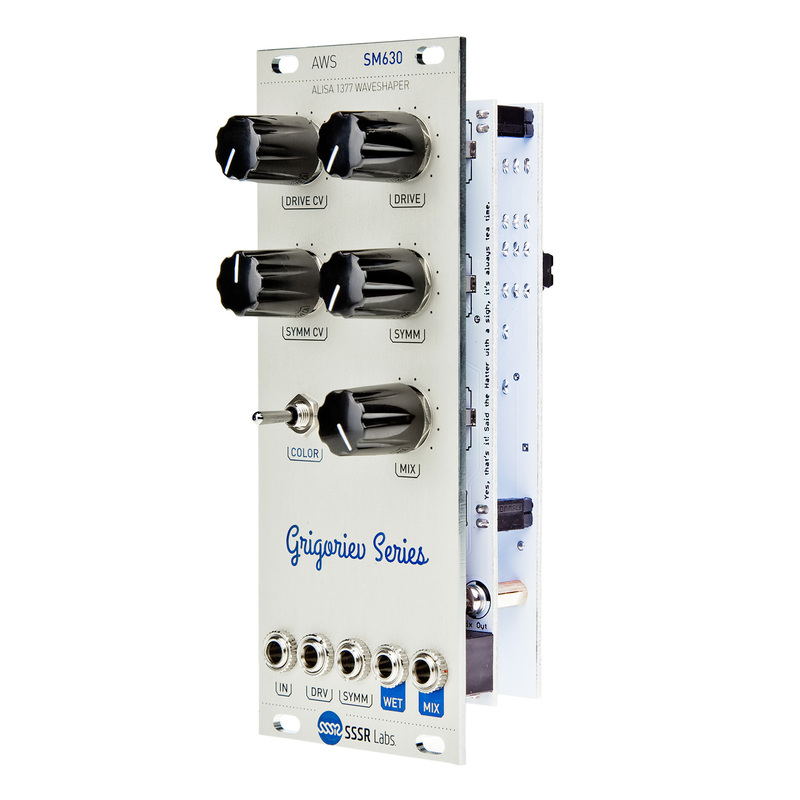 The idea of this module has appeared even before SSSR Labs was founded, but it had to wait for a while. From the start, our goal was to design a well made, affordable slider eurorack module with unique feature, and it’s exactly what we have made! So, you can have as many sliders as you want at pretty low prices! You can save more buying the DIY version!